If you browsed my blog recently, you might have noticed that I have been enjoying the great outdoors frequently this summer. Just like travelling, camping is for me a way of connecting with the nature and reconnecting with myself. After a long busy week at work, I find comfort in the wilderness. 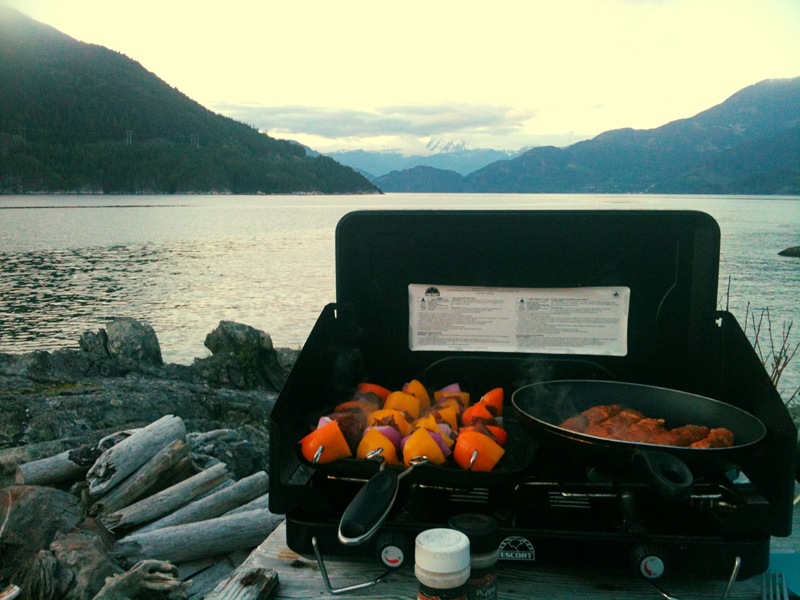 But camping isn’t just a nature occurrence, it could also be a culinary experience. My brother introduced me this flavouring Mexican dish at my first wild camping adventure out West when I was 15. It stayed one of my favourite since. No preparation needed, except for the guacamole. Prepare the guacamole in advance. Put cheese and refried beans on tortilla, then fold in 2. Place on BBQ grill until the cheese is melted and the tortilla is crispy. Garnish of a generous portion of salsa, sour cream and guacamole. You could add an egg on top as well. 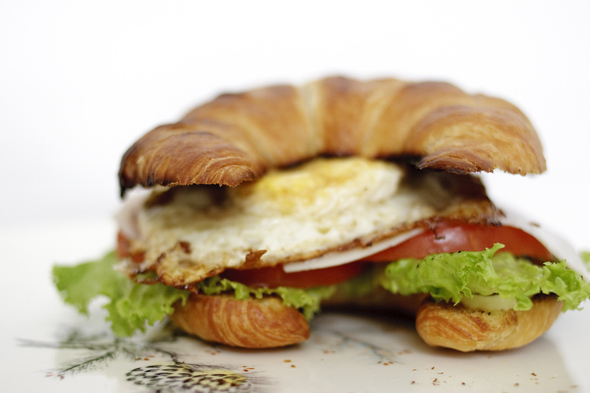 This earthy meal is easy to prepare and will wake you up nicely. Chop the veggies, cheese and meat. In a bowl, beat the eggs and milk. 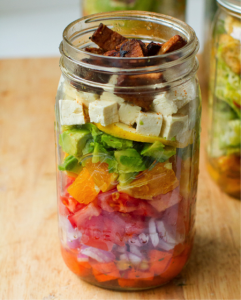 In a Mason jar, combine all dry ingredients together. In a second Mason jar, put the liquid mixture. Once at your outdoor kitchen in the woods, pour the content of the 2 jars in a hot pan and cook just the way you like it. Cut potatoes in half and boil until tender, but still a bit crunchy. Place in a plastic container and toss in olive oil and seasonings. All you need to do is to pan fry until nice and crispy! 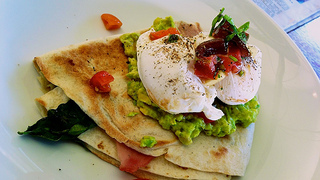 Another alternative to this recipe is to put the omelette and hashbrowns in a wrap with sour cream and salsa. It makes a delicious breakfast wrap! Either for breakfast, snack or dinner, these mini-quiches are a real treat! Cook the bacon, then chop in small pieces. Unfreeze and drain spinach. Cut feta in small cubes. Beat eggs and milk together, add salt and pepper. Mix the bacon, spinach and cheese to the egg mixture and pour the filling in defrosted shells. Shred some cheddar cheese on top. Follow to instructions for cooking. You need a waffle maker for this one. Beat eggs, milk and oil in a bowl. Combine flour, baking powder and salt, add to egg mixture and beat until smooth. Add cheese and meat. Pour in waffle maker and cook until brown and crispy. 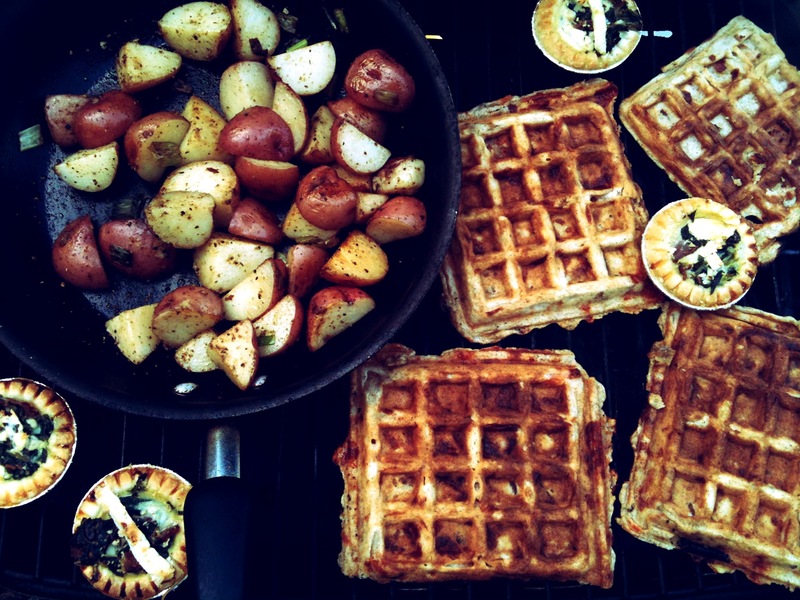 Once cooled down, you can store the waffles in aluminum paper. Place them on the BBQ grill until well toasted. Butter up and put maple syrup. Serve with a fruit salad. You’ve got yourself a delicious sweet and salty delicatessen. Don’t need to give you directions here. Pretty simple. But make sure you toast the whole package on the BBQ grill. Yum! So much to say here! But I’ll link those recipes to awesome food website. Here are some ideas for when the sun is hot in the afternoon and you want a light snack, or to open your appetite before dinner. Plus in camping, we always eat. My mom’s recipe, a true finger licking dish. Cut the chicken in bite sizes. Pour all ingredients in a dish plate. Make sure the chicken is all submerged. Cover and refrigerate all night. Place on sticks (if wooden sticks make sure they soaked prior in water). Place in Ziploc bag. Cook on BBQ. Cook the shallot, vinegar, and garlic in a pan. Prepare the beans by cutting the stem end off of each, then boil in salted water. When the shallot mixture is ready, add the mustard and add salt and pepper. Add the oil in a slow, steady stream. Stir in the capers. Taste and season with additional salt and pepper as needed; set aside. When the beans are cooked, drain and add to mixture. Toss well. Put in a plastic container and refrigerate. Serve as a succulent side with the Thai chicken. Marinate the crustacea in oil, garlic and salt and pepper (you can place them on sticks if you want them as skewers, make sure again to soak the wooden sticks in water prior). Ceil in Ziploc bag and refrigerate overnight. When you are ready to feast, add the citrus juice and the white wine to the bag and mix well. 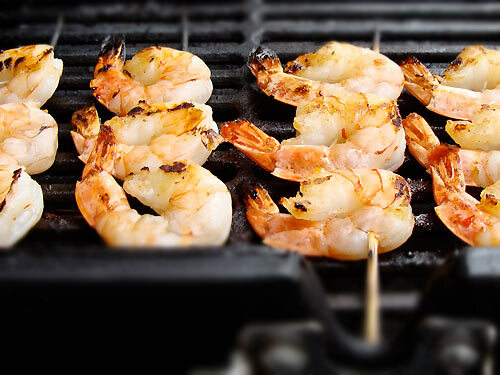 Wrap the prawns in foil paper and place on BBQ grill until cooked the way you like (just a few minutes). 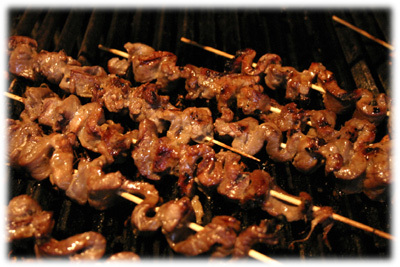 Or place directly on grill if they are on sticks. 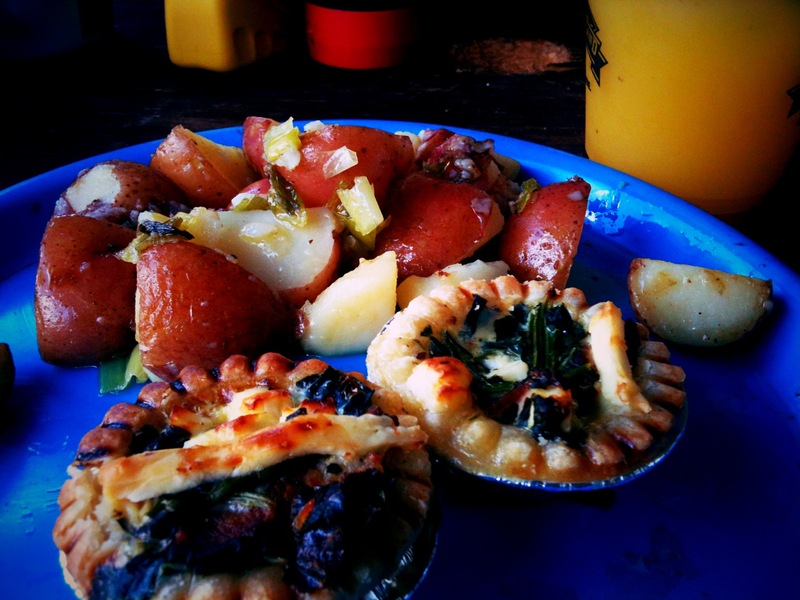 I always have this side dish during Christmas and Thanksgiving and it’s been so delicious that I modified it a bit and started to add it to our camping menu. Cook orzo. Chop bacon and cook. Toast walnuts. 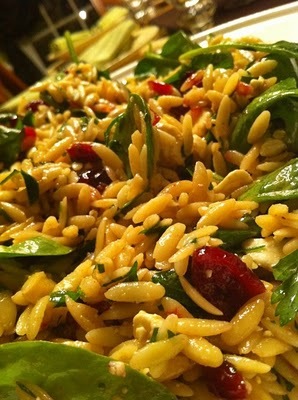 Once the orzo is cooked, drain and let it cool down. Then add all ingredients together in a large bowl and mix well. Add oil to the salad so it doesn’t sticks. Add salt and pepper. Place in plastic container. 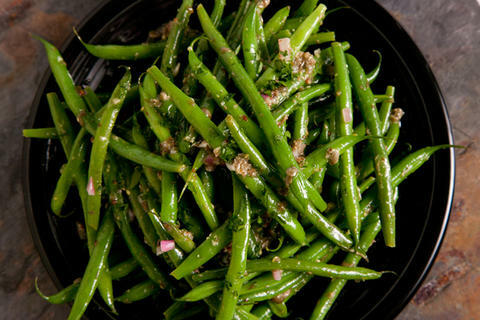 Yummy side dish that is as good heated or cold (I prefer it cold). A lot of people don’t think about bringing pasta in camping. But it’s actually very easy to make with no preparation needed (unless you want to add extra to it). 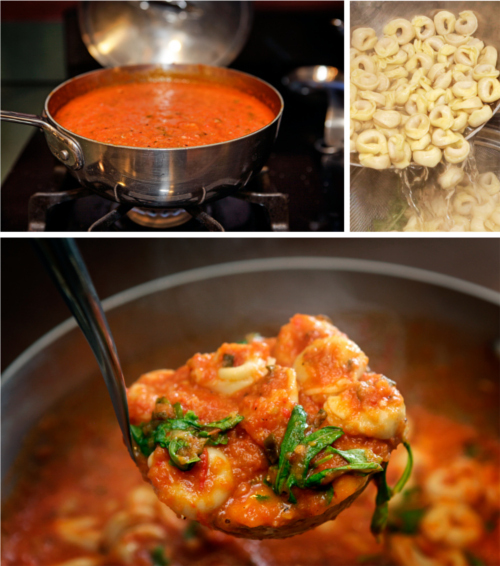 Boil water in a pot and cook ravioli for 6-8 min. Add sauce. 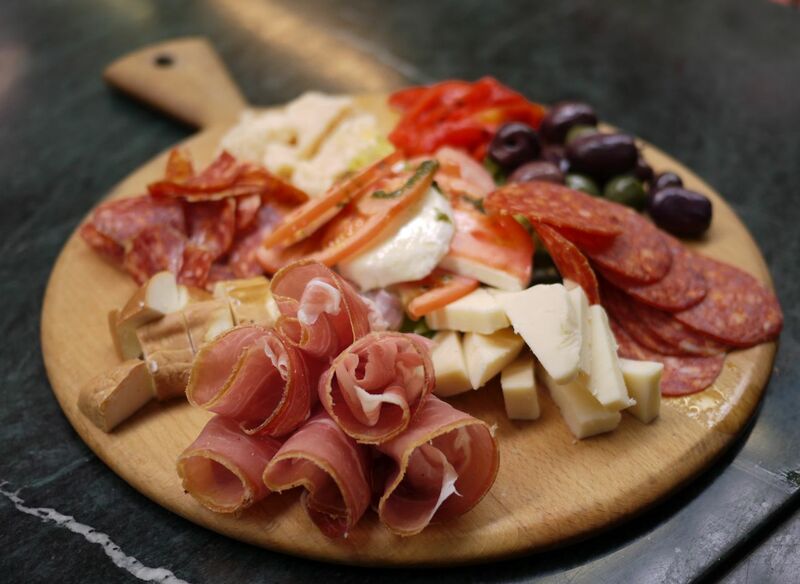 I even add some cured meat from my antipasto platter and add some cheese on top. Voila! A bit of preparation at home and a bit of time to cook, but once you dig in it, I assure you that you won’t be able to stop. Cut the vegetables in bite sizes. Take the sausage meat out of the skins. In a large piece of foil paper, place the vegetables, sausage meat, squared pieces of butter and cheese. Combine everything together. Season well. Foil the paper and refrigerate. 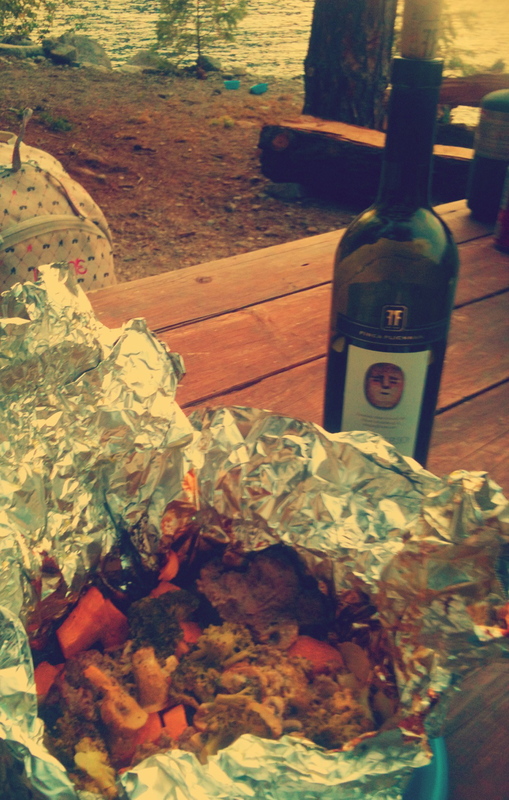 Just before dinner time, place the papillote in the BBQ (you could also put it straight on the fire). Cook 30-40 min or until everything is soft and hot. This savoury and juicy meal will bring comfort and warmth after a full day playing outside. Note: I am not a food blogger and these recipes are just ideas I share with you. Also, I lost my recent pictures on my phone hence the few pictures taken from the Internet. I hope you enjoyed and I wish you a happy end of summer!